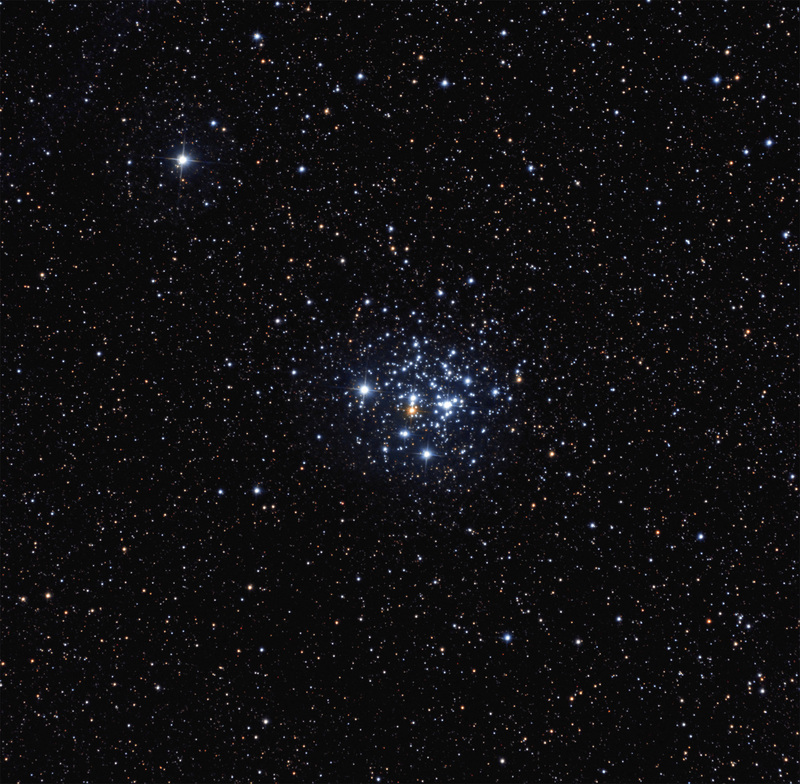 The Jewel Box, NGC 4755, is an open cluster near the Southern Cross, Crux, consisting of about 100 stars that are 7-10 million years old and 7500 light years distant, spanning about 20 light years across. It is also known as the Kappa Crucis Cluster. It is one of the youngest clusters known and was discovered by Lacaille in South Africa ~ 1751. The three brightest stars are blue giants ranging from mag 5.8 -6.8. The fourth brightest star is an M2 red supergiant and is mag 7.6. Thay all display a wonderful diversity of star colors. North is toward the lower left and the field is about 3/4 degree square.